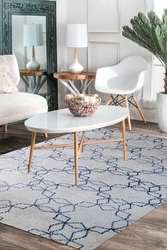 Yak carpet recently added a beautiful collection of Modern Rugs. These carpets are woven in pure New Zealand wool and Cotton material. Give a vibrant and outstanding look to by putting this modern carpet on your floor. This is 100% hand washable and highly durable rugs.